So over the last two weeks I collected a lot of zines. Normally I go for a longer review process, but I’m pressed for time. So here goes. 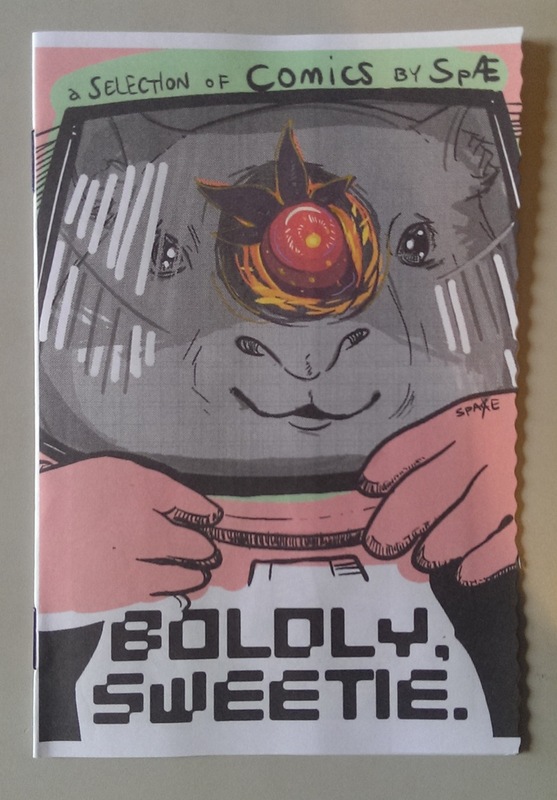 I picked these zines up between the Zine Vending Machine Launch and the Art, Not Apart festival. Where Pete Huet interviews four former/still straightedge punks he knew back in the Nineties. It’s a decent read, though anything punk wasn’t exactly my scene. Emma Jeans makes a comic about question. Spae makes comics about a trolley on a drinking bender, wombats and dieting. Looked like it was fun to make. 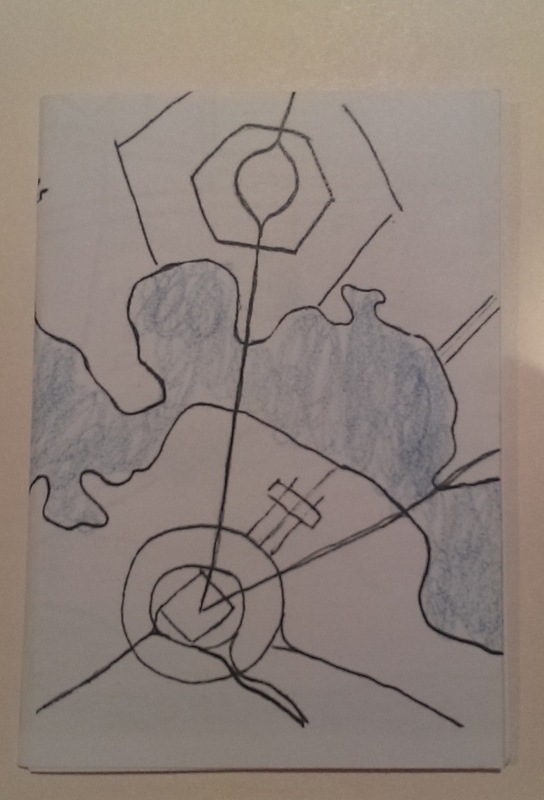 A short zine about the places in the city that Zoë Anderson holds dear. Bernie Slater has folded together a dada zine about the immigration policy du jour. Each zine rides on a little orange boat. 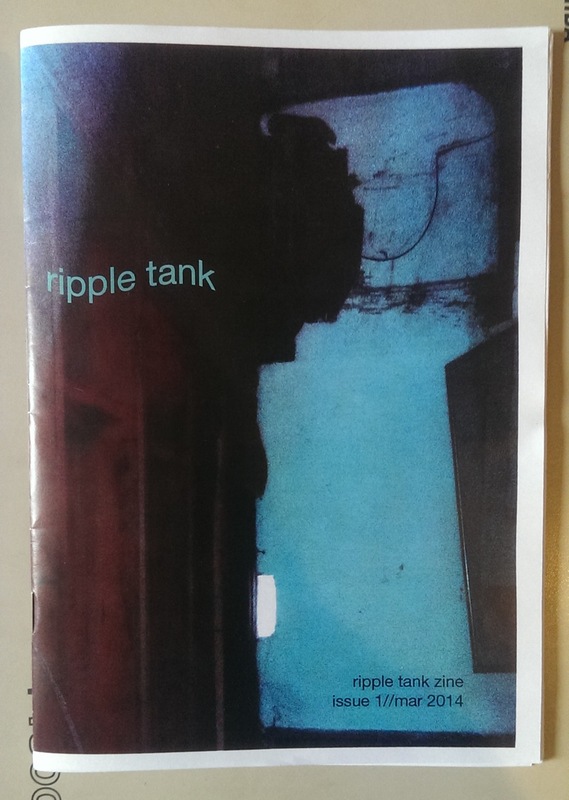 The co-op zine of Houl and Mike Watt contains micro-biographies of two rival gangs that exist in a fictional part of Canberra, or a part of a fictional Canberra. 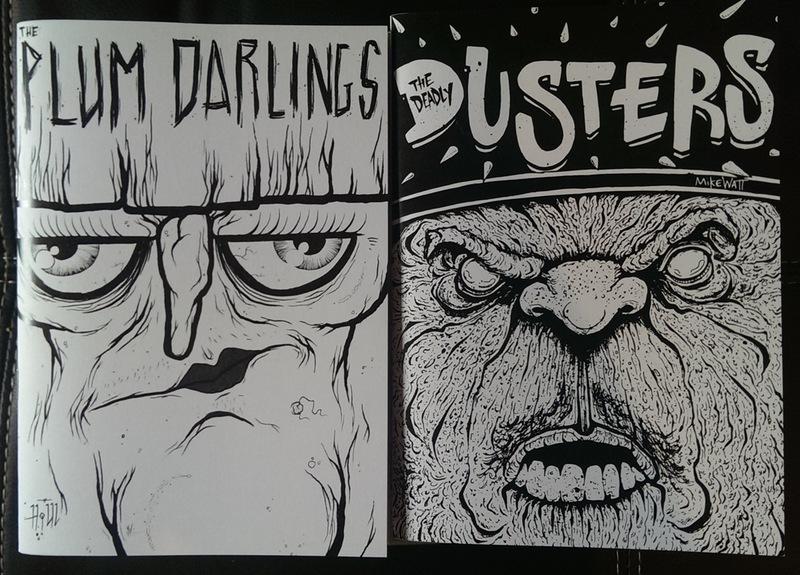 If you’re a fan of the two local street artists, then its worth picking it up. 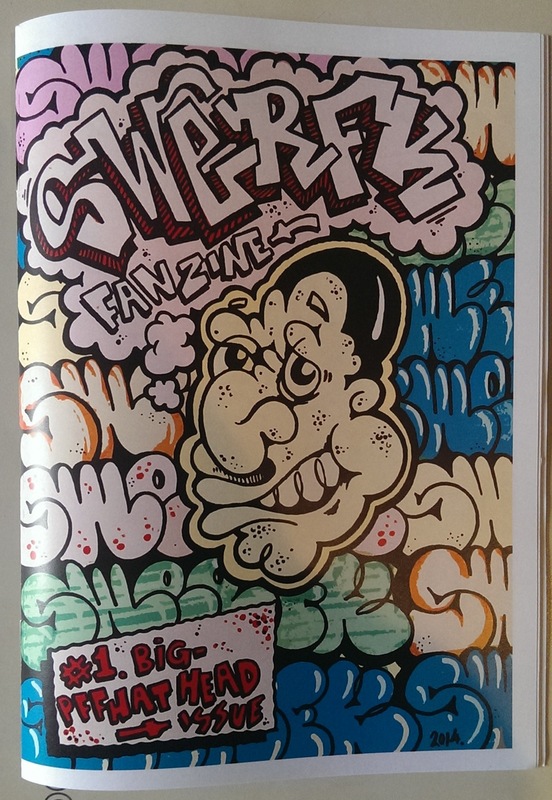 I’ve seen plenty of SWERFK’s work around the town, but didn’t meet the guy until Art, Not Apart. 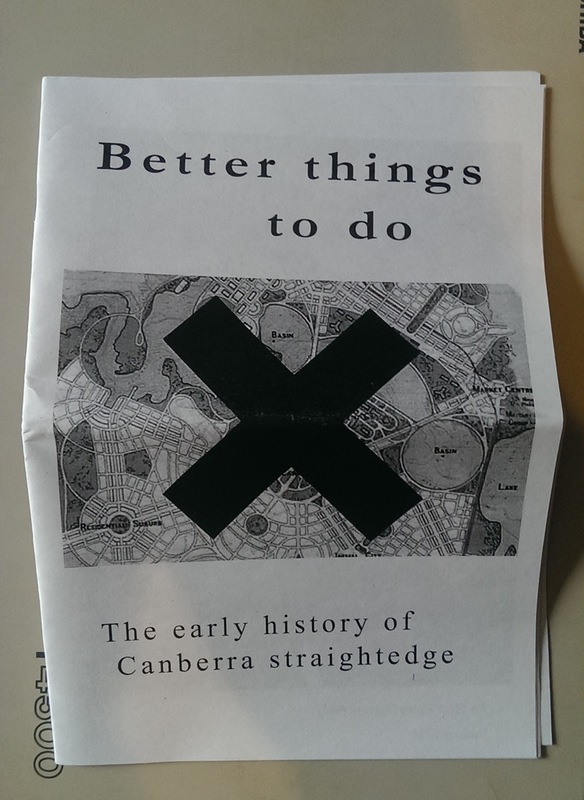 The zine is contains black and white photos of his work in Canberra, Melbourne and other places. It came with some stickers which is always a nice little bonus. A zine put together by behe-moth it’s a collection of poetry, prose and illustration. I managed to have a few leftover glyphs put in there, so I guess this review is bias now. 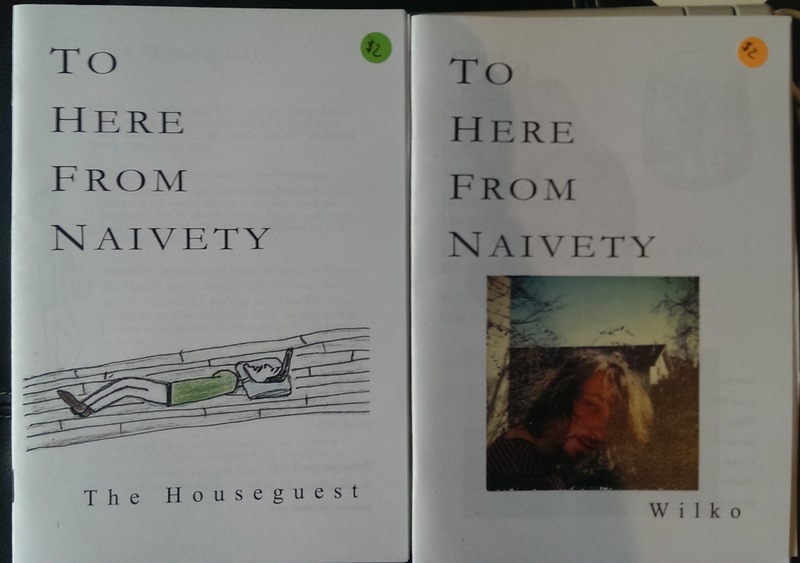 In these two zines, Pete Huet relays a stories about his former band mate Wilko and an unnamed Houseguest he hosted during his time in Bath. So it’s interesting funny and a little sad. 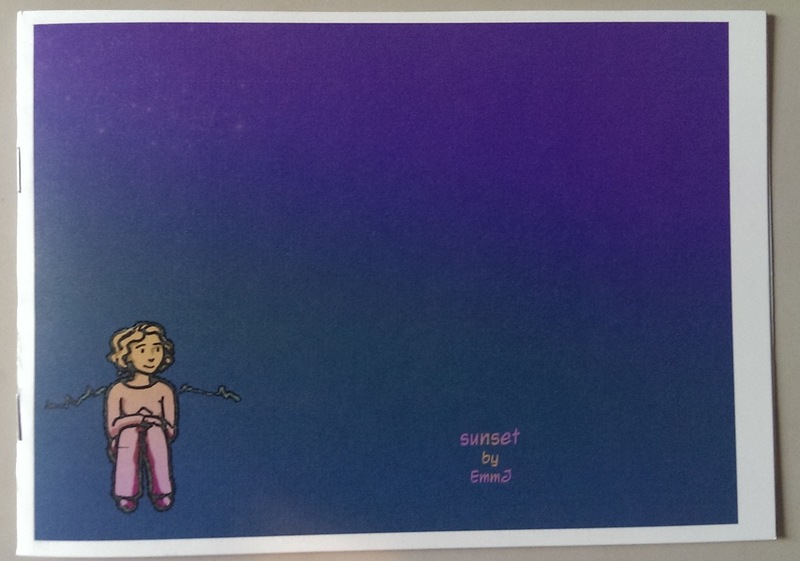 This entry was posted in zine and tagged art-not-apart, canberra zine emporium, zine, zine vending machine. Bookmark the permalink.